If you're not looking for them, you may not have noticed, but there's an ancient tribe of creatures slowly infiltrating back into society. They've been gone for a while. You may have even known them in the past and forgotten about them. But they're still there. If you survey your surroundings, you may catch glimpses of purple felt and wispy hair flash by out of the corner of your eye. You may hear a chorus of tiny voices singing jubilantly and laughing together from a distance. You may even hear a banjo and a froggy serenade. They're The Muppets, and they're making a comeback. While they've never completely disappeared, they have been under the radar for years. Fraggle Rock was but a memory of 80's children everywhere. Kermit's star on the hollywood walk of fame was lonely, and there was nary a puppet to be seen on television, movies or even web series. That all changed over the last few years thanks in large part to one man's quest to bring the gang back into the spotlight. 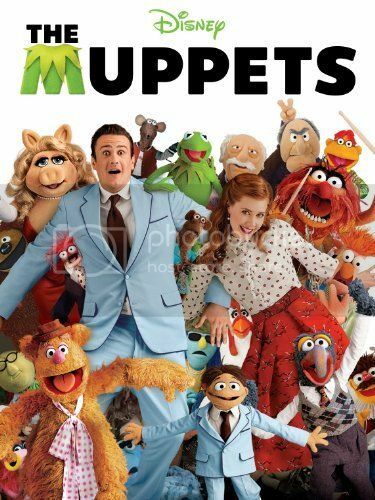 Jason Segel used his beloved funny-man status to revive the franchise on the big screen, using their post-glory-days status as part of the storyline itself and winning over a new generation of muppet-lovers. Alongside their premiere in tinsel town came appearances all over TV, the Internet and music. They even had awkward interactions with Maynard and One F on the Bachelorette. The Fraggles made a music video with Ben Folds, courtesy of Chris Hardwick, which also starred Anna Kendrick. Ceelo Green features the muppets in a song on his Christmas album, in which they sing the legendary "manamanah" song in the background. (Don't act like that song has any other name.) Also I literally JUST discovered that music video and it is bringing me much joy, especially hearing Kermit say "Hotlanta" and the fact that Craig Robinson is in it. The Muppets are back, you guys. People who grew up with them are gaining power in the media circuit and making this happen. Did you know Neil Patrick Harris has a puppet workshop in his garage? Because he does, and he's not ashamed. Where did this sudden Muppet pride come from? Is it the power of youtube? Is it 2/5 of the cast of How I Met Your Mother? Is it Ceelo's uncanny resemblance to a Muppet himself? Who's your favorite Muppet? Mine's a toss-up between Fozzie and the old heckler guys.